christmas owl tree topper. price is for a set of 2 (two) owl toppers. christmas and holiday decoration ideas collection. looking for our christmas tree owl toppers crafted in feathers, sisal and wood? need a owl topper to decorate your christmas tree? the best-selling nova68 ornamental owl christmas tree toppers for christmas 2014 is back. with festive attire fashioned from pine wood shavings, features in natural colors, these owl ornaments are just what you need. transform your tree, mantel or table top with small (9"h) and large (11"h) owls. 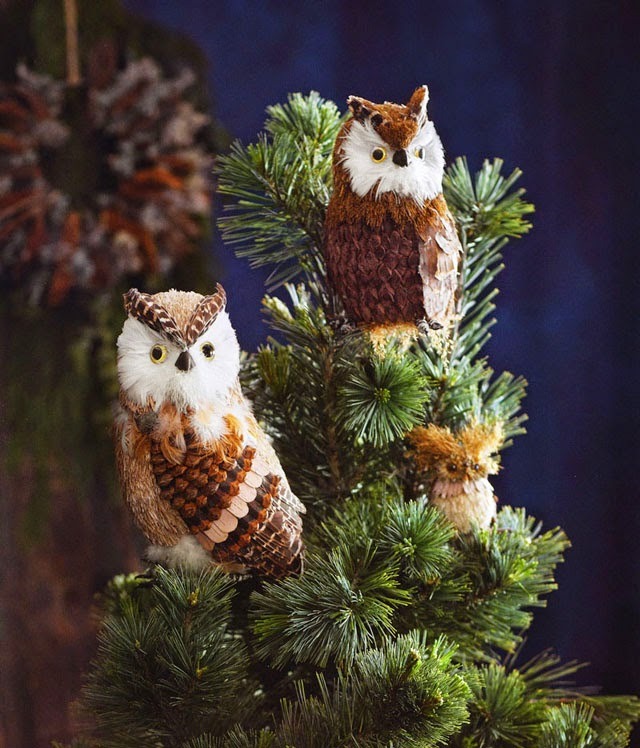 decidedly decorative, these owls lend a festive and airy note to any holiday tree.